Always burning at both ends. Just a quick note to acknowledge and appropriately mourn the passing of one of my favorite rock and roll musicians, Jay Reatard. Reatard, whose real name was Jimmy Lee Linsdsey, died in his sleep at his Memphis home on Wednesday. He was just 29. 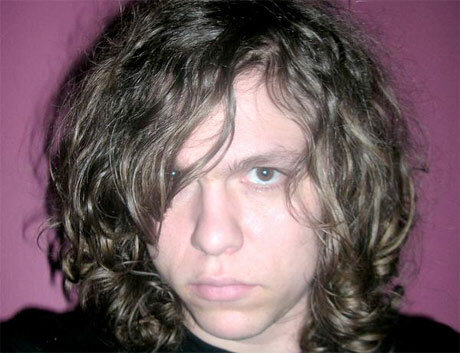 It goes without saying (especially with a name like Jay Reatard), that his music wasn't for everyone, though it was much, much more accessible than he was given credit for at times. Jay Reatard was angry. Like most of his life. But instead of allowing it to hinder him, he channeled it into some of the most impassioned, unique rock music I've ever had the pleasure of hearing. His 2006 full length Blood Visions is a modern classic to me and a record I still listen to when I need to feel the cathartic release of a lifetime's worth of anger and insecurity. Reatard, like much of his music, moved with a machine-gun-like pace that it may not have been realistic to believe could be maintained over a long period of time. He had a temper, held grudges (check out his final tweet), and wasn't always a peach to perform with (his entire touring band quit on him during a recent tour, though they later made up). But it is important to note that his music also came with machine gun like precision and an eloquence that may not be fully appreciated for several years into the future. It is clear that he was just beginning to scrape his potential as established artists like the Pixies and Beck sought to collaborate with him. His more recent work--most notably this past year's excellent Watch Me Fall--showed an artist whose musical and sonic capabilities and ambition were only growing. He was clearly finding a way to merge punk with power pop in a completely new and unique way and the results hint at what was coming. Having said that, what WAS and IS left behind is pretty amazing. Again, Jay Reatard wasn't and isn't for everyone. And I have no doubt he'd want it that way. But he will be missed and I'd encourage those of you in need for something different, a sound that appeals to your primal emotions for no other reason than you just sometimes have got to have it, to check out his work. When raw power meets wreckless intellect and a guitar, you will find Jay Reatard. "There is no sun for me." *On a slightly happier note, my long overdue 2009 music recap will be posted by 5 PM tomorrow. I can't keep denying the lovely Karen K. What she wants, she gets.